The grill called out to me yesterday when it turned out to be a beautiful spring day. Ground lamb was available at the grocery store, so I decided on lamb burgers. I used my gas grill, but you could broil the burgers or pan-fry them in a skillet. 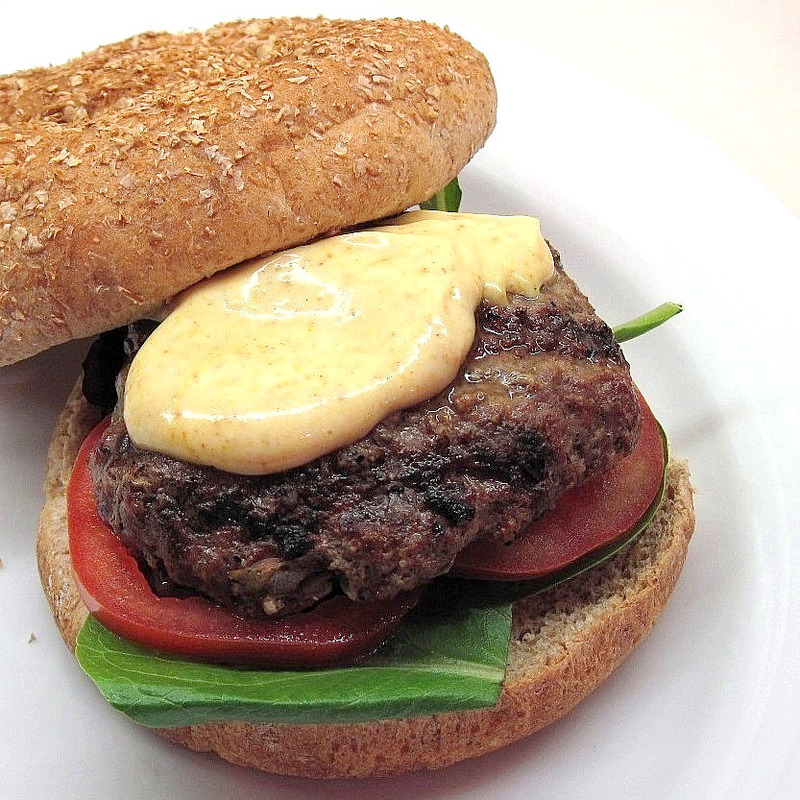 Curried mayonnaise, lettuce and sliced tomatoes completed the burgers. It was a delicious spring dinner! 3. Heat the grill on high for about 10 minutes. 4. Use the broiler to toast the hamburger buns. 5. 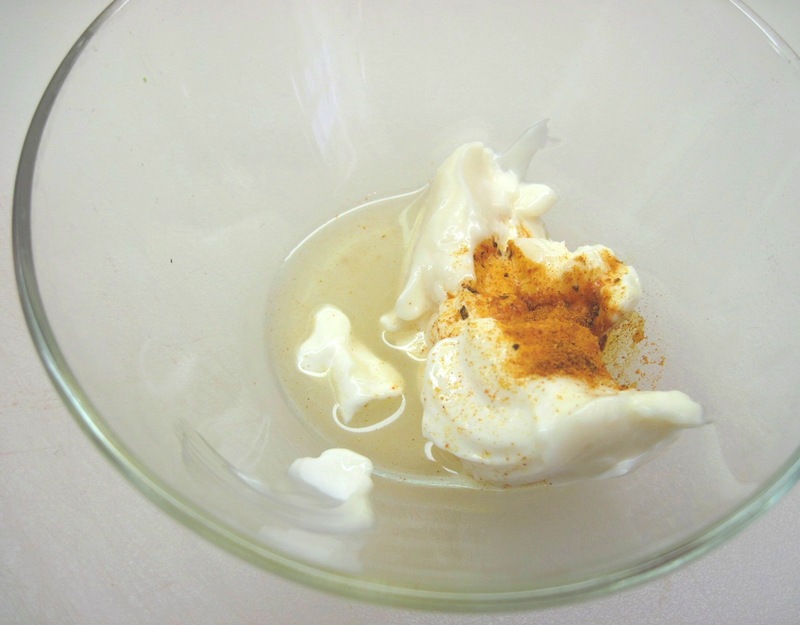 Combine the mayonnaise, curry powder, rice vinegar and cayenne pepper in a small bowl. 6. 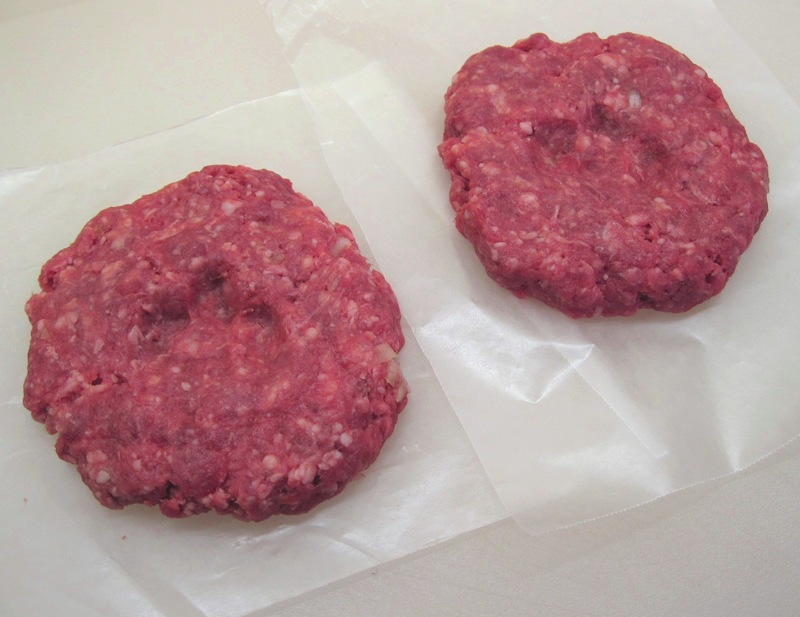 Just before grilling, salt the lamb burgers. Turn the grill down to medium and grill the burgers for 5 minutes. Flip them over and grill for 3 minutes more. 7. Serve the burgers with the lettuce, tomato slices and curried mayonnaise. Thanks, Peggy! It is both simple and delicious! A nice change from hamburgers.